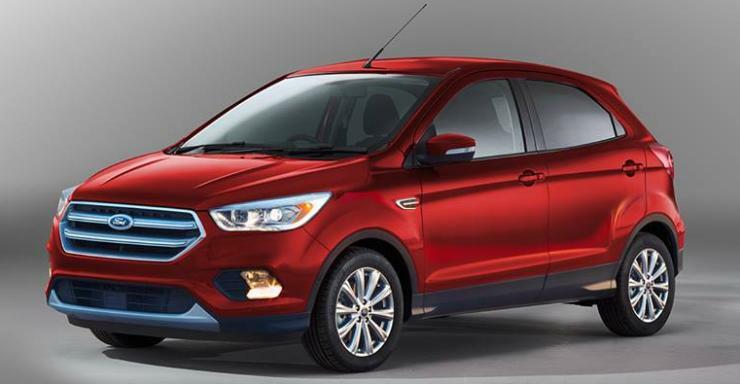 Ford Motor Company, an American car manufacturer, will launch a new version of the Figo hatchback in India. The new version will be called the Cross. This car will look more masculine than the regular version of the Figo, that is, it will look like a crossover. There is a new rendering that has been released by a Brazilian designer called Kleber Silva. You can view it below. As the render shows, the main changes to the car are, 1. Modified front grille that looks like the Ford Edge’s grille. 2. Bumper insert and 3. Cladding for the sides and wheel wells. Many other car manufacturers in India offer such ‘cross’ versions of regular hatchbacks. Some such cars that come immediately to our minds are the Toyota Etios Cross, the Volkswagen Cross Polo and the Hyundai i20 Active. In many of the cases, the cross versions of hatchbacks not only have more masculine looks but also higher ground clearance. We don’t yet have details whether the Figo Cross will also have extra ground clearance. Engines will be borrowed from the regular Figo. Ford has multiple engine options to choose from. In petrol, they have 1.2 liter and 1.5 liter engines. In diesel, they have the 1.5 liter engine. All these engines have 5 speed manual transmissions as standard. The 1.5 liter engine also gets q 6 speed automatic gearbox with twin clutches. The Figo Cross will be costlier than the regular version. By how much, we still don’t know. It is safe to expect that the car will be priced around Rs. 30-50 thousand more than the regular version. Ford may also add more features to the car. Testing of the Figo Cross has already started in India. We await information from Ford India about the exact launch date of this car.